Hans Hummel – Sunshine. Whimsy. Tacos. 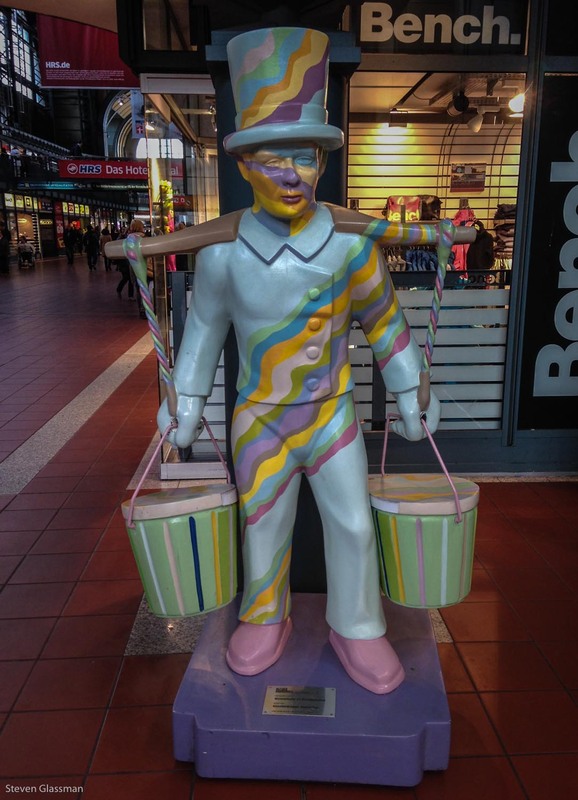 While I was waiting for my train out of Hamburg, I noticed an interesting statue- a man in an oversized top-hat carrying two buckets. A moment later, I noticed another one- identical in shape, but with different colors. Within a few minutes, I had found four of them in that part of the station. After I returned, I learned what was going on with these statues. 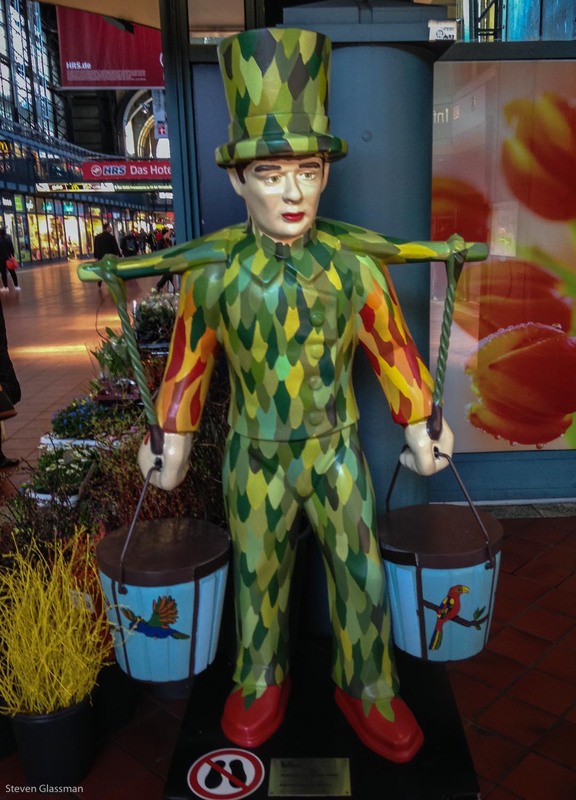 They depict Hans Hummel, the last water-carrier in 19th century Hamburg. 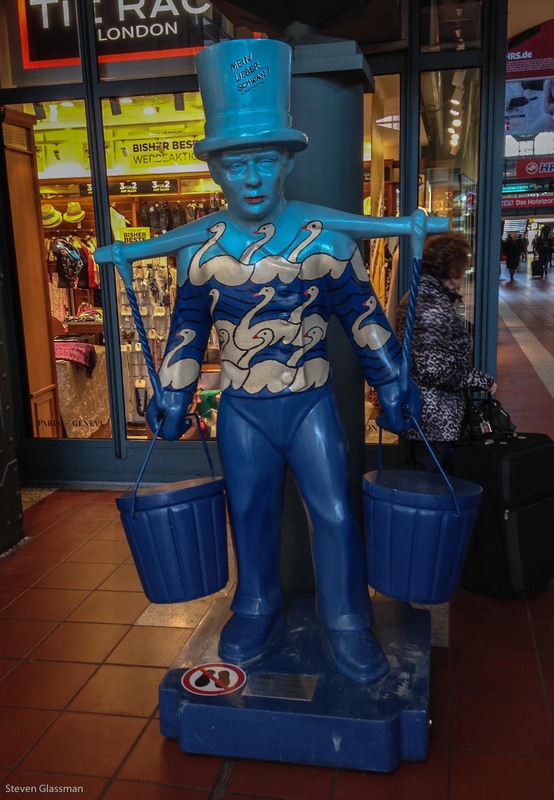 In 2003, one hundred identically sculpted statues were painted in different ways and then spread out throughout the city. Some of them are still on public display, including the four I saw in the train station. They’re numbered. If I had known that sooner, I would have gone hunting for the others. 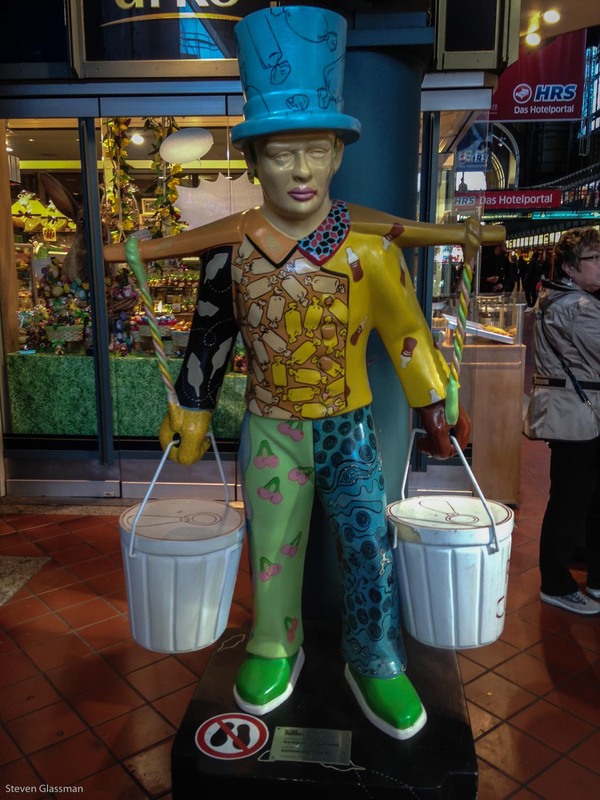 Have you ever seen a statue of Hans Hummel?